Install all required Nextcloud prerequisites. Next step is to download a latest official Nextcloud Server source code package from the Nextcloud.com website. Perhaps the most convenient way to perform this task is by using the wget command. Create MariaDB database to be used with Nextcloud. Start Nextcloud wizard and perform a final installation. 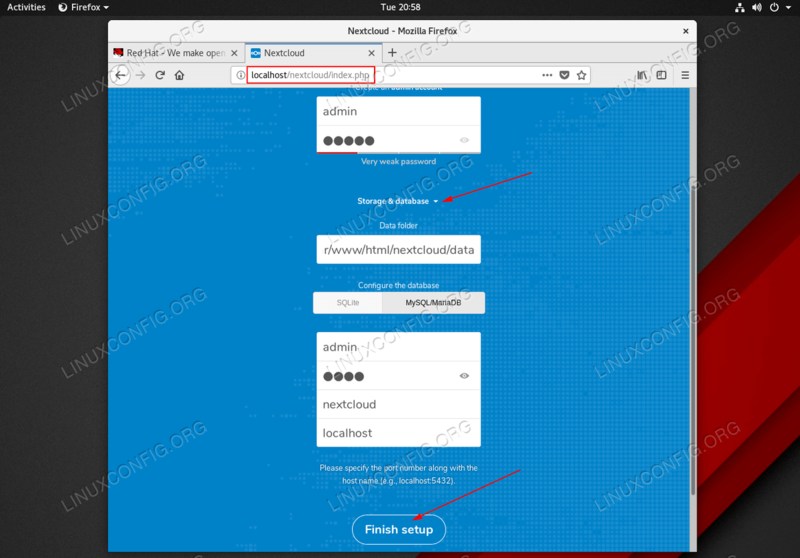 Nextcloud wizard installation form on RHEL 8 Linux server. Once ready click on Finish setup button. In case you see the below error message make sure that you have correctly installed all Nextcloud prerequisites as per Step 2. 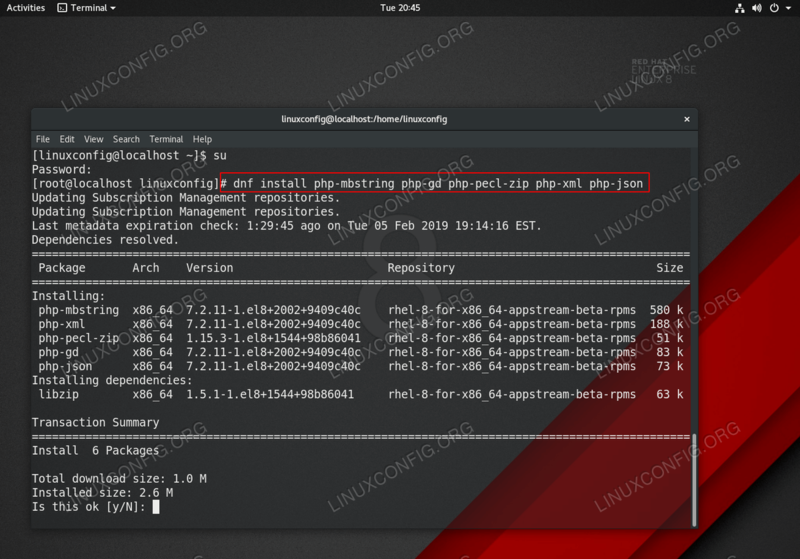 Use the # php -m | grep -i PHP MODULE NAME command to list if the required PHP module is available. 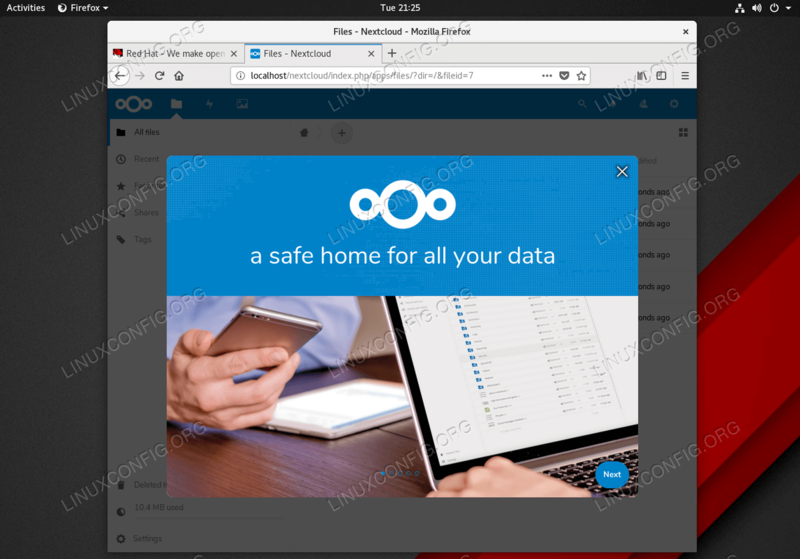 Your installation of Nextcloud should be now ready. Optionally install additional Nextcloud recommended PHP modules or secure your installation with mod_ssl.